Fashion photographer Danny turned his unfinished basement into a darkroom – and added a basement window well for several important reasons. But Danny, who specializes in photographs taken on real film, admits that the digital revolution has changed a lot of things. Which is why Danny decided to turn his basement into a specialist darkroom. “I was developing a few reels in there anyway, and one day I just figured: Do it right.” So Danny found some old photography equipment on eBay – like an enlarger from the 1960s – and decided to go for it. “My plan was to go beyond just creating a darkroom for myself, and create one other people would pay to use, too.” To that end, Danny’s darkroom project began as a basement finishing project – adding hardwood floors, drywall and ceiling tiles to his previously empty and unfinished basement. The other important addition Danny invested in was a basement window well and egress window. Adding a basement window well has several advantages for Danny. 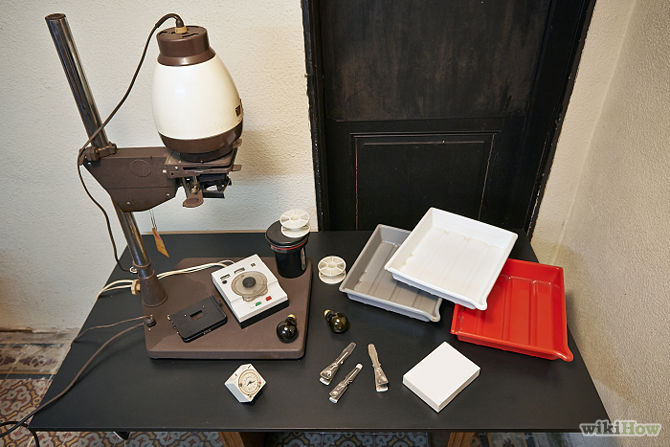 “It’s also really practical for doing my photography.” A film darkroom requires a lot of chemicals, including bleaches like Potassium ferricyanide, which release cyanide when mixed with water. Equally important is having a means of escape from the basement should something happen; like a fire. We’ll be watching Danny’s basement darkroom to see how his new business “develops” (did you see what we did there?) In the meantime, it sounds like another example of where a basement window well is a picture perfect solution for safety.